It's natural for dogs to bark, whine and howl at times. Dogs vocalize to communicate with humans and to express themselves. Sometimes we want our dogs to bark in order to warn us about potential danger or protect us from harm. Other times, the barking is excessive and seems to have no real meaning. Dogs bark for a variety of reasons. Dogs don't bark just because they can (though it might seem that way at times). They do not bark just to annoy you and your neighbors, nor do they bark for spite or revenge. Certain dog breeds have a tendency to bark more than others. In fact, some types of dogs were actually bred to be barkers. This may be so they could alert people about danger, protect homes, or even scare prey out of hiding for hunters. On the flip side, the Basenji does not bark at all, though the breed can vocalize in other ways. Listen closely, and you will eventually learn the sounds of your dog's different barks. Then, you may be able to figure out what each bark means. The first step towards controlling the behavior is to understand why your dog is barking. Warning/Alert: It is natural for a dog to bark when someone is a the door or when strangers pass the house or car. Many dogs will bark if they sense some type of threat, proclaiming "I'm here protecting this place so don't mess with me." The sound of this bark is usually sharp, loud and authoritative. Honing this instinct with training can actually help protect your home and family. Anxiety: Anxious barking often seems to be an act of self-soothing for many dogs. It is often high-pitched and sometimes accompanied by whining. This type of barking is common for dogs with separation anxiety, fears and phobias, or other types of anxiety. Responding to Other Dogs: This is a familiar scenario. One dog down the street starts barking, and one by one the rest of your block joins in. It sounds like a cacophonous rendition of Row Your Boat. Excessive barking is not likely to improve without intervention from you. Once you have determined the reason for the barking, take steps to address the source. If your dog's barking seems related to fear or anxiety, then you may need to start with a visit to your veterinarian. Your vet can rule out medical reasons for the behavior and possibly recommend medications to help. A dog in a high state of anxiety will have a very difficult time learning new things. Medications to lessen anxiety can help make training more successful. 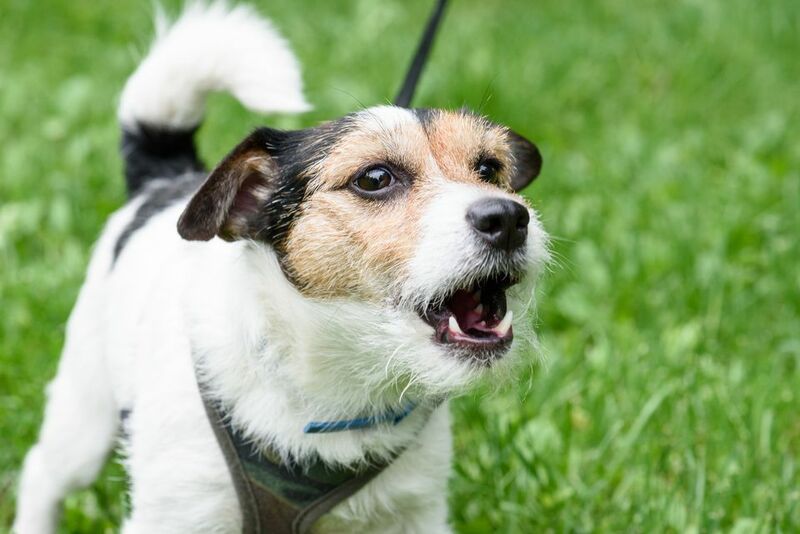 Learn how to stop barking and prevent excessive barking in dogs. In most cases, you can curb barking with basic training, mental stimulation, and exercise. In more serious situations, you may need to bring in a trainer or behaviorist. One thing you should not do is ignore the problem.